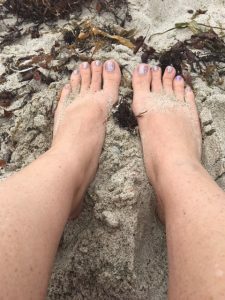 beach toes with a color street pedicure + giveaway! My family is getting ready to head to the beach. 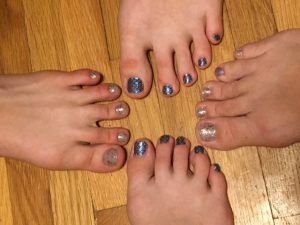 And thanks to Cindy from Color Street nail strips, the four ladies in my household were easily able to get our feet Beach Ready! We received a few sets of nail strips from the spring line. As soon as I got them I knew that Atlantis would be popular with the girls. I used Capitol Hill on my toes. 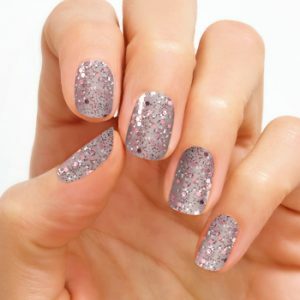 I love that these nail strips are super easy to use and still look good even if you don’t apply them perfectly. In fact, I decided to do my fingers, as well. I used some of the odds and ends that were left over because I am cheap. 🤷‍♀️ As such, they were not sized very well for my nails so I had to shape and score each one. Still, they look great! Here Cindy shows you how to use the strips on your toes. It’s pretty much the same thing except you do have to shape them more since toenails can be weird shapes and sizes. 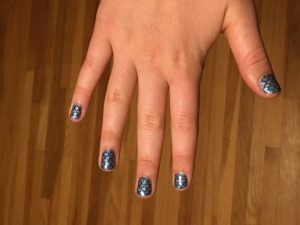 We did discover, as Cindy points out in her video, that if you have a distinct pattern it will matter which way you apply the strip (up and down or sideways). But solids, glitters and other patterns that do not have a specific direction can be applied Any Which Way and look great. So if you are ready to WIN at sandal season, contact Cindy for a free sample of two nail strips. You will see just how easy they are. 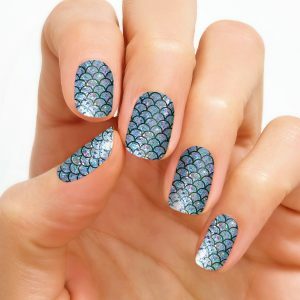 Want to win FOUR full sets of nail strips? 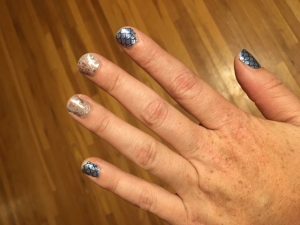 Cindy is giving away a collection that includes a solid, pattern, glitter and French polish strips! That’s a $50 value, people! And it’s sooooo easy! 1. Be sure you’re on my mailing list. Sign up from the form at the top OR the right OR the bottom of my site. 3. Look for her post asking if you are a Productive Mama. Comment that you are so she has your name to enter into the drawing. 4. Wait for your name to be announced on June 20. 5. 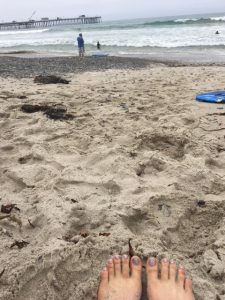 Show off your toes. 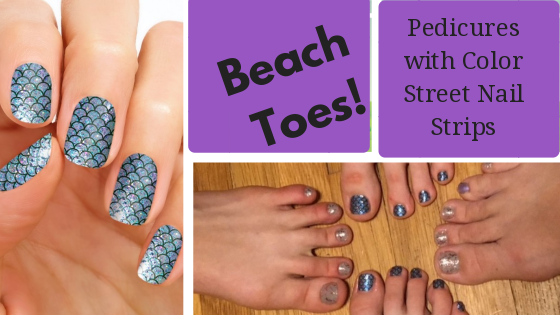 Want to learn more about Color Street nail strips? Check out my detailed review here. Contact Cindy with any questions.